As one more statistic, the US Courts notes that, from 2005-2017, approximately 12.8 million bankruptcy petitions were filed by consumers. So, long story short, if you feel as though you need to file, you definitely aren’t alone. The real question is whether this is the right move for you and, if so, which option makes the most sense. To help, here are answers to frequently asked questions about bankruptcy. This is a legal process available to people (individuals or families) and companies that are no longer able to pay their debts. This post will focus on personal bankruptcies, not corporate. The purpose of filing for bankruptcy is to get a fresh start with finances for people who can no longer keep up with payments. If you file, bankruptcy courts will review your debts and liabilities, as well as your assets, to determine how your specific situation should be addressed. In some cases, debts can be reduced to a manageable size. In others, debts are wiped clean. Note that some assets may be used to repay these debts. Before you commit to this choice, we recommend that you first obtain credit counseling. Why? Because if you do go forward and declare bankruptcy, it’s very likely that you’ll need to go through this counseling anyhow. It’s possible that your counselor can recommend effective ways (less drastic ones) to help solve your financial situation. You’ll be better prepared for your fresh start if you do ultimately file. Here you can find credit counseling agencies approved for bankruptcy use. If you’ve heard the term “straight bankruptcy,” it refers to Chapter 7. That’s because, when you file for this type, any assets that you own above a legal threshold are divided among your creditors, making this a form of liquidation. A trustee would be assigned to you to manage asset distribution. It’s important to note that 95 percent of people who file for Chapter 7 bankruptcy don’t have enough assets to exceed the threshold. So this means they ultimately keep their assets. On average, this process takes about three and a half months from filing to finish. As far as house payments, car payments, and other debts of that type, you often have a choice. You can give up the asset or continue making payments. That said, each case is unique. And, that uniqueness is why it’s recommended that people consult with a bankruptcy attorney before making the decision to file. From 2008 to 2015, 92 percent of people filing for Chapter 7 used an attorney. Those who used an attorney were more successful, overall, with 98 percent of them getting their debts discharged (versus 72 percent of those who didn’t use an attorney). Many people considering bankruptcy prefer Chapter 7 because, once approved, they wouldn’t have to repay many of their debts. There is, however, a means test that you might need to pass to qualify for this option. More specifically, you’d need to pass this test if more than half of your overall debt is consumer-related (credit cards, for example, or car payments, rather than tax debt, tort debts, or business-related debt). In the means test, your income would be compared to the median monthly income for a family of your size in your state. If your income exceeds that amount, you may need to go with the Chapter 13 bankruptcy option instead. Why? Because failing this test is a sign that you may have enough income to repay at least some debts. If you pass this test, you’d then attend a creditors’ meeting, where people you owe have the chance to dispute the discharging of your debts. If they win, this means you may still owe them money. You would then be assigned a trustee to review the terms of the bankruptcy and distribute your assets accordingly. 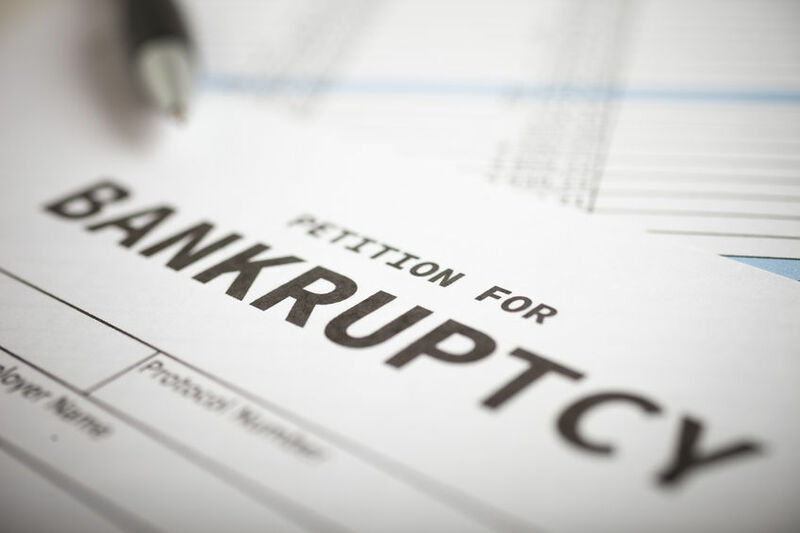 Earlier in this post, we described Chapter 7 bankruptcy as a form of liquidation. Chapter 13 involves debt consolidation and a repayment plan, with the goal being to find a payment plan that works for your particular situation. The court might, for example, combine your outstanding unsecured debts (ones with no collateral) and create a repayment plan for you, while you also continue to pay other debts (such as utility bills) separately. A typical timeframe for a Chapter 13 bankruptcy is a three- to five-year repayment plan. As a plus, if you file Chapter 13 and you’d already fallen behind on mortgage payments, the lender would need to stop any foreclosure proceedings and you’d have a chance to catch up on payments. 41 percent of people who filed for Chapter 13 got debts discharged using this method. 10 percent initially filed this way, but ultimately had debts charged through Chapter 7 bankruptcy. Note that, if you go this route, you’ll almost certainly need a bankruptcy attorney to guide you. ProPublica.com notes that it’s “very rare” to be successful with Chapter 13 without a lawyer’s help. Here’s more helpful information about both types of personal bankruptcy filings. When money gets tight, bills don’t always get paid on time—which means that debt collectors may come calling. That can be quite stressful, and may make you consider filing for bankruptcy to get a fresh start. That might be the right answer for you, or it may be that debt collectors are crossing the line with you, causing undue stress. To help you find out if the latter is true, see this post about debt collection laws and your rights. This post lists what debt collectors can and can’t do, what’s reasonable to expect from them, and when it crosses the line into unfair debt collection practices, even harassment. We also share tips on how to respond to these calls. Consulting with a credit counselor or financial planner may give you other ways to respond to your current financial situation that are less drastic than filing bankruptcy. If filing seems like the right step for you to take after exploring these avenues, then it typically makes sense to consult with a bankruptcy attorney. Your first response to that might be that you don’t have the money for an attorney, and that’s a natural one—so here’s how we can help. First, as part of our Family Defender™ plan, we offer financial coaching to help members resolve financial challenges and guide them through creating a plan for financial wellness for now and in the future. Here’s more information about our Wellness Initiative (for both financial and legal needs). If it’s determined that filing for bankruptcy is the right route for you, the Family Defender™ plan provides members with access to experienced attorneys to guide you through the bankruptcy process so you can benefit from a fresh financial start. Qualified attorneys are available to advise members on whether Chapter 7 or Chapter 13 makes the most sense and then guide them through the entire process. Members also benefit from legal services for estate planning, family law matters, traffic violations, real estate transactions, and criminal violations. Plus, there is also a special plan enhancement, Identity Defender™, that helps members to resolve identity theft issues, providing additional protection for their financial security. Employers, our group legal benefits plan is a voluntary benefit. It’s cost-neutral for your company, providing your employees with benefits that allow them to address the most common legal and financial issues they’re likely to encounter. The plan is easy to set up and designed for streamlined management. We’re here to discuss how this voluntary benefit would work for your specific workplace, so contact us online today or call 1.800.356.LAWS.